Robert J. Van Valkenburg, County Highway Superintendent, pursuant to Section 133 of the Highway Law and Section 103 of the General Municipal Law, will receive sealed bids for the Greene County Highway Department for each of the following assorted materials: Aluminized Steel Helically Corrugated Helical Lock Seam Steel Pipe with Annular Ends – Type II & Bands; Bituminous Materials; Galvanized Helically Corrugated Helical Lock Seam Steel Pipe with Annular Ends – Type II & Bands; Galvanized Perforated Square Tubing; Geotextile Fabrics; HDPE N-12 Plain End Pipe & Bands; Lane Gabion Baskets; Liquid Calcium; Pavement Marking; Reclamation of Roads; Reinforcing Steel; Rental of Various Heavy Equipment; Standard Box Beam Type Guide Rail; Steel Pipe – Odd Lots; Steel Reinforced HDPE Structural Pipe; Steel Sign Posts; Structural Steel; Traffic Control Signs – Engineer and High Intensity Grades, Aluminum Blanks, etc. ; Transit Mix Concrete; Washed and Screened Crushed Stone. Specifications may be obtained at the office of the Greene County Highway Department, 240 West Main Street, P.O. Box 485, Catskill, NY 12414 between the hours of 9:00 a.m. and 4:30 p.m., Monday through Friday. Sealed bids should be clearly marked with the item bid. 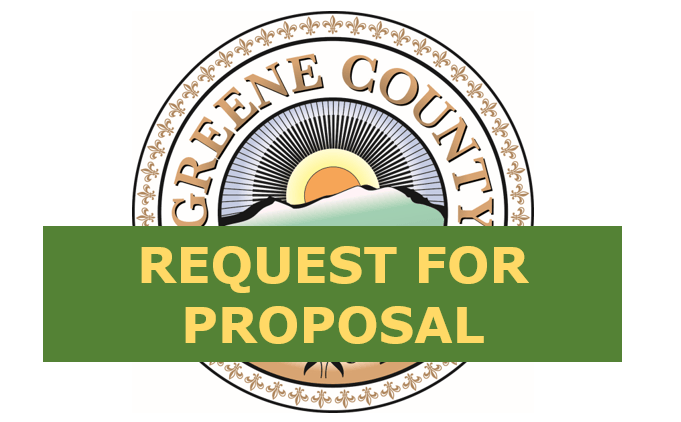 Bids will be received at the office of the Greene County Highway Department on Friday, April 19th, 2019 until 10:30 a.m. and will be opened and publicly read at 10:30 a.m. the same day. The County Highway Superintendent reserves the right to reject any and/or all bids.